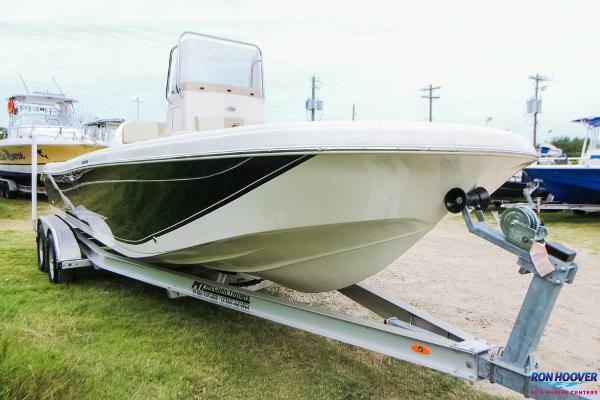 2016 Grady-White Seafarer 228 Since 1980 Grady-White has offered solid, safe, and seaworthy 22-foot walkaround cabin boats for sale, designed for saltwater offshore fishing function and inshore boat fun. 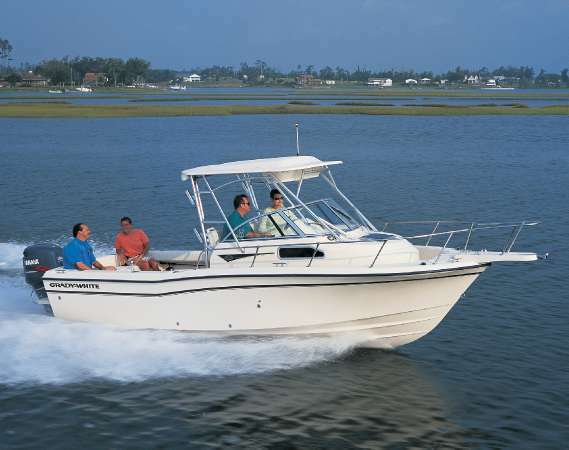 Today the Seafarer 228 stands out among Grady’s signature walkaround style boats, proven as a top boat value. 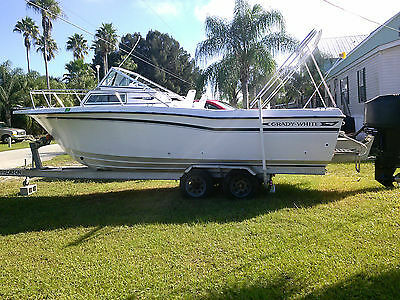 87 Grady Seafarer 22' walk around with 1999 Mercury 250 EFI Blue Water. Closed transom without board bracket. Engine was professionally rebuilt about 50 hrs ago and runs great. Trim and hydraulic steering work good with no leaks. Has stainless prop that was vented. Aluminum fuel tank was removed and glassed to prevent leaks. Hull is in good shape. It has two canvas tops that cover the cockpit. Also have the canvas helm enclosure. Forward and aft bilge pumps work good. The hull doesn't leak and floors are solid. The gauges, lights, and radio work, but have a ground issue. It comes with float on aluminum trailer. 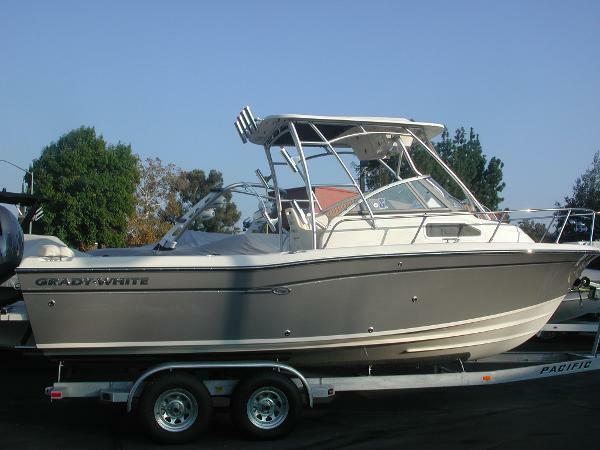 Great boat to take the family out on the water, plenty of space for the kids. Very sea worthy boat. It can be ran and tested. Might trade for smaller boat. 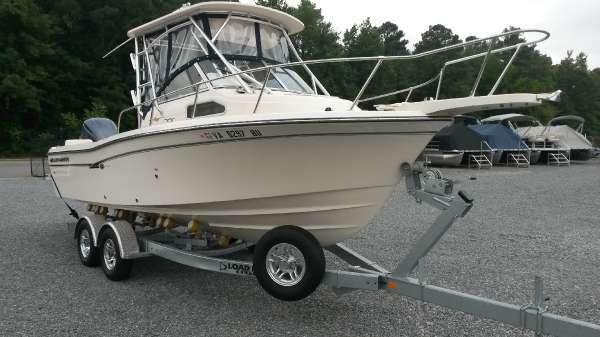 2016 Grady-White Seafarer 228 Walkaround 2016 Grady White 228 Walkaround w/ Yamaha 250 HP 4-Stroke - Factory Hardtop & More - New Sand Color Gelcoat - LOADED! Factory options include: Deluxe Helm Chair 1 Chairs, Factory Hardtop, Upgraded Ivory Color Front / Side / Drop Curtains (Full Enclosures), Raw Water Livewell (Blue), Raw Water Washdown, Cockpit Bolsters, Handi-Head (Portable Head w/ Deck Pump Out), & Sand Colored Gelcoat Upgrade. 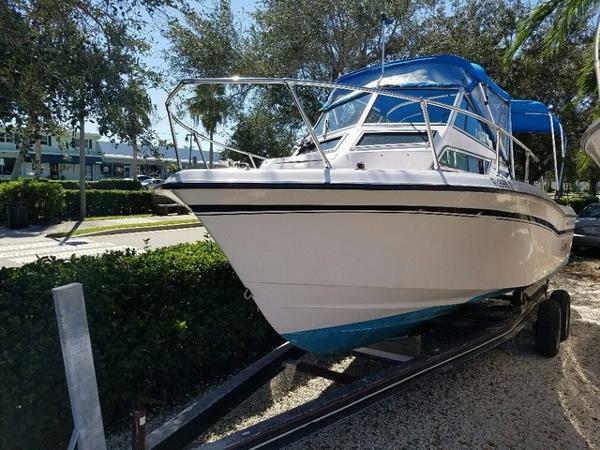 Many unique upgrades to trim, style, and upholstery for 2016 make this 228 Seafarer a breathtaking blend of functionality and beauty - COME VISIT US TODAY! *Factory Images Included In This Listing May Include Options Not Featured On Stock Boat - Please Note Above Itemization of Grady White Factory Options & Actual Dealership Photos* Experience exceptional performance w/ the Yamaha 250 4-stroke package while boasting the best fuel economies in its class - the perfect power package & Yamaha's New Command Link Plus "Fly-By-Wire" Electronic Shift & Throttle Controls! GET THE GRADY! Call us today w/ questions or to schedule an appointment! 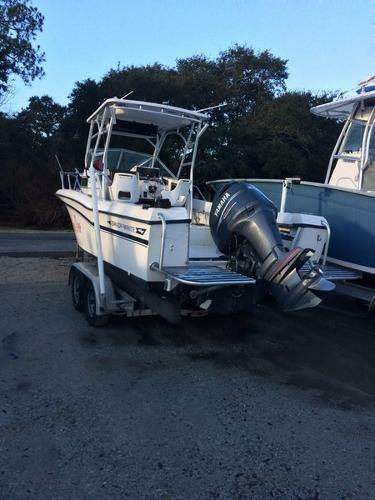 Norfolk Marine's goal is to sell to those we can service, please contact your local Grady-White dealer. 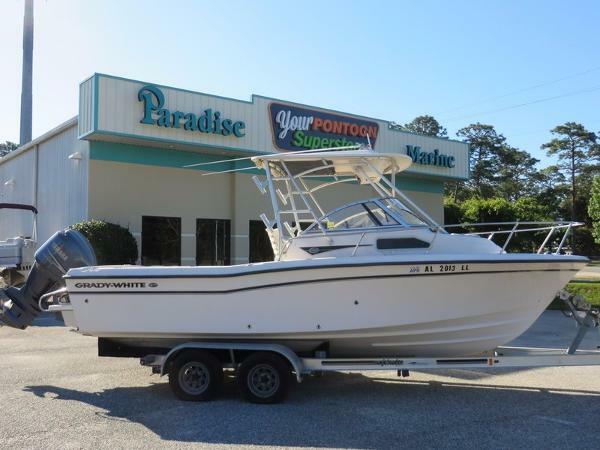 - 2016 Grady White 228 Walkaround w/ Yamaha 250 HP 4-Stroke - Factory Hardtop & More - New Sand Color Gelcoat - LOADED!